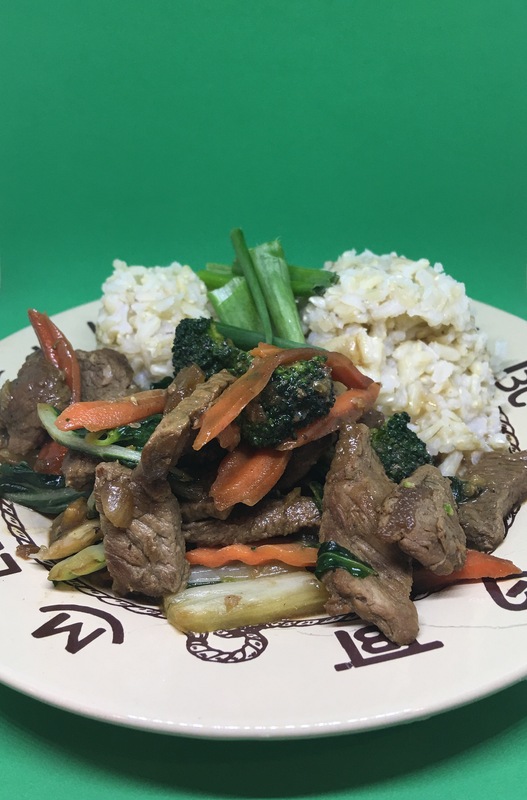 Marinate your meat – sirloin is a great cut for a stir fry. Slice your meat thinly and against the grain. Yes, the wok makes a big difference. Invest in it, it will pay you back by producing wonderful dinners. Heat up your wok. Use 1 teaspoon of sesame oil and 1/2 tablespoon of canola oil. Add this oil combo for each batch as well as the veggies. Don’t overcrowd your wok with beef! Sear your beef slices in batches. Each piece of beef needs its own space. If you overcrowd your pan, you will end up steaming your meat and that will make the beef tough. It usually takes me 3-4 batches of beef to sear it properly. Put your seared meat in a bowl while you are working on your other batches. Between each batch of beef let your wok heat up again. Add extra oil. Don’t cook your beef all the way through! Cook your beef slices for about 30 seconds on each side. Get a nice brown crust. Don’t stir your beef. One side 30 seconds, flip, second side 30 seconds. It is ok to still see some pink/red. Your beef will finish cooking in the sauce. Add more oil to your wok, let it heat up again and add veggies. Our favorite combo is bok choy, carrots, broccoli, onion, green onions. Add beef and sauce to the veggies and heat through – couple of minutes is plenty! Omit the brown sugar in any of your sauce/marinate recipes. Trust him, you won’t miss the sweetness. Let the taste of the beef shine. Add extra garlic or ginger to your Asian recipes and you won’t miss the brown sugar. Caraway seeds are a great addition to mashed potatoes. Boil your potatoes and during this process, add about 1 tablespoon of caraway seeds. 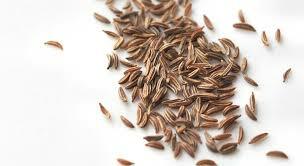 Caraway seeds have a warm, sweet, and slightly peppery aroma. The seeds will get soft and add a new twist on your mashed potatoes. Check out these health benefits! The round, light green to light gray-green leaves possess a pleasant aromatic odor and have a warm, slightly bitter taste. I like to use dry marjoram in Potato Latkes. 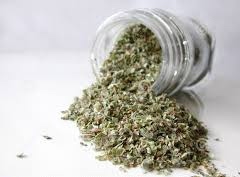 Add about 1 tablespoon of dry marjoram into the shredded potato mixture. 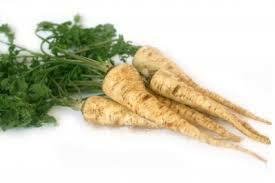 Parsley root is light beige, shaped like a carrot, but slender like a parsnip. The flavor is described as a taste between celery and carrots with a little parsley leaf and turnip. Parsley root is delicious in potato salads. Peal and cook your parsley root with potatoes and carrots when making a potato salad. Cut up the soft parsley root and include it in your potato salad. Great texture and taste!